Welcome to Leeds University Library. We want to support you in your learning and this guide gives you the essentials to start using the Library. The Library has four main buildings on campus, with a study space to suit everyone. Find out about all of our library buildings on our website. 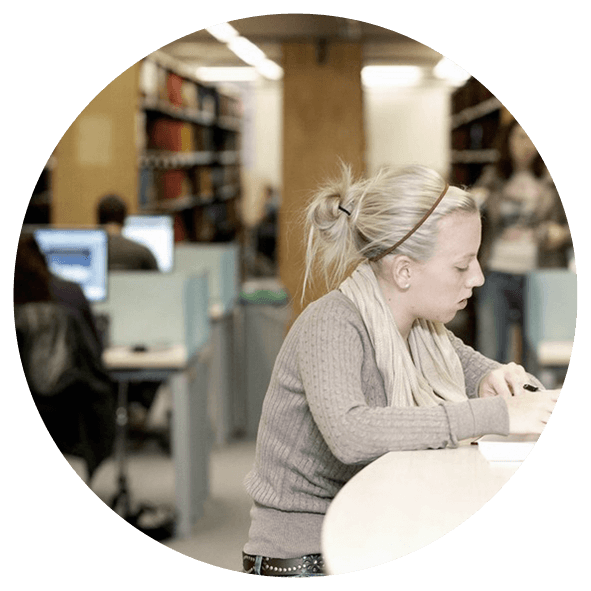 Your student card is essential for using Leeds University Library. It lets you into Library buildings and contains your University username, which you'll need to access electronic books and journals. 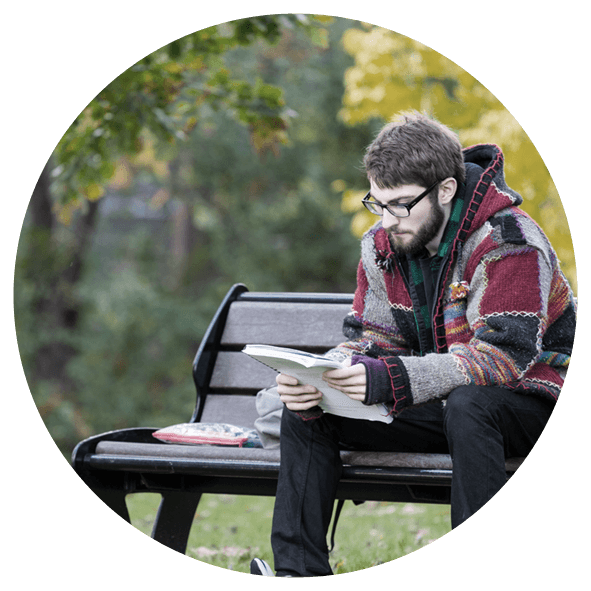 Most of your modules at Leeds will have reading lists to help you to find out more about your subject. Some lists might be short, with less than five books or journal articles to read; others might be longer and split into sections. Your tutors will give you advice about what to read and when. 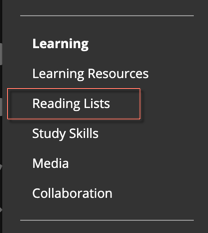 To find your reading list log into Minerva, select the "Learn" tab, then click on the reading list icon next to each module. You may need to use all four libraries at Leeds to borrow books. Some books may be available online. Sometimes you will be asked to read just one chapter from a book. This may be available online in your Minerva module area. Most of the journal articles that you will need to read are provided online by the Library, rather than as a physical copy. You can find them with links from your reading list, or by using Search@Library. Find out about Search@Library in the next section of this guide. Your reading list is a good place to start, but you will be expected to read more widely too. 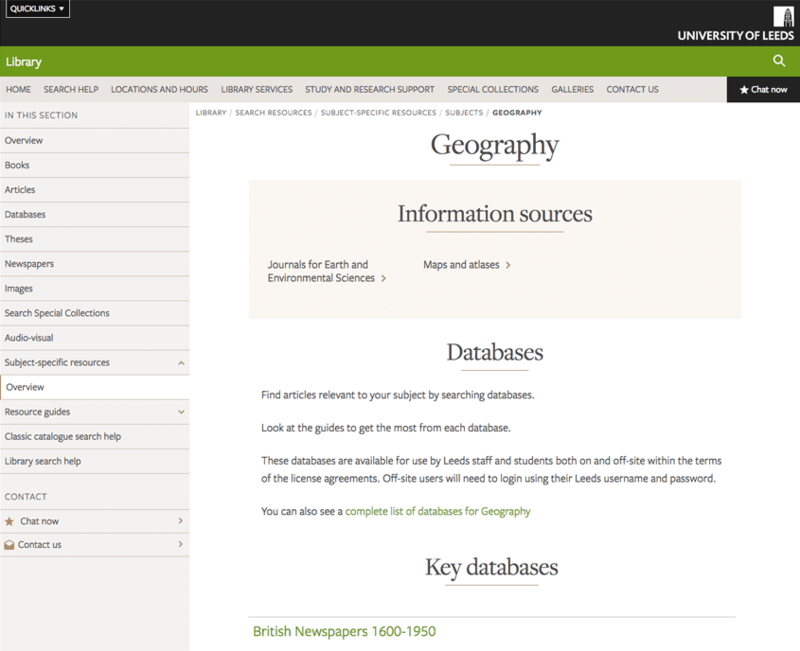 Use Search@Library to search for information on your topic, and to find books, journal articles and other materials in the Library. 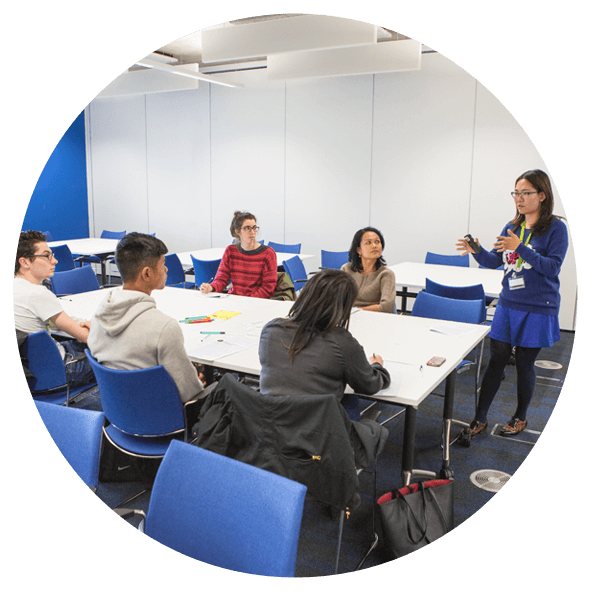 Every subject studied at Leeds has its own webpage dedicated to helping you to find information sources in your discipline. The Library’s Special Collections are housed in the Brotherton Library, and are open to all visitors. Special Collections has nearly 200,000 rare books and hundreds of thousands of manuscripts, ranging from illuminated medieval manuscripts to business archives to modern poetry archives. To find out more, and to search for material that might interest you, have a look at the Special Collections website. Search@Library will give you all the information that you need to find material on the shelves in the Library or online. Most of the journal articles that you'll need to read will be available online; just follow the links from Search@Library. You can use our self-issue machines to borrow and return books. You will need your student card! There are instructions on screen, and just ask Library staff if you need help. To find out how many items you can borrow and for how long, and for more details about using the self-issue machines, see our website. Sometimes the books you need may be on loan to another student. If this happens, you can use the request and recall system. Once you reach the front of the queue for a particular book, you will generally be able to borrow it within a week. To encourage students to return them, fines are charged on recalled books that are overdue. If the book you need has been borrowed you will notice a big red tick in the catalogue record and a link to "Request It". The person who has borrowed the book will be sent an email asking them to bring it back. You will receive an email to your University email account once the book is available. Don't be put off if the book you need is not due back for some time. Recalling the book will change its due date. Don't wait for the return date because it might not be brought back on time or it could be renewed. The longest that you should have to wait for a recalled book is 7 days. Most students are asked to return the book within 3 days but some students, such as part time students, may have 7 days to bring the book back. Fines are charged on overdue items that have been recalled, to encourage you to return them on time. Fines are also charged on 4 hour and 1 day loans. To find out more about fines see our website. Don't forget that books you borrow can also be recalled by other students. Your library record is where you can view details of the items you have borrowed and any requests you have placed. You can check your library record online. The easiest way to do this is through Minerva. 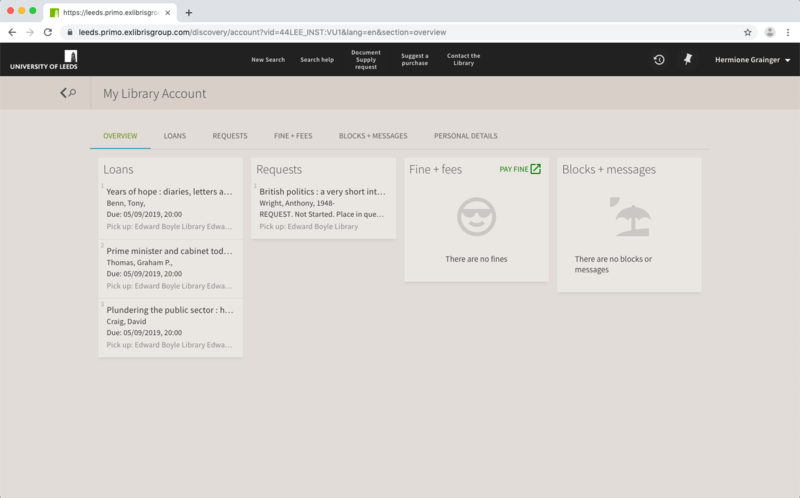 Click the Library icon to see details of your account. This is what your record looks like when you have logged in. Items on loan: Which books have you borrowed, when are they due back, and has another customer requested them? Renew your books: Renew books that have not been requested by another customer; tick the box next to the title and choose either "Renew All" or "Renew Marked". Requests: If you have requested any items, they will appear in this list. The Library will email you when they are available to collect. Fines: Any fines that you owe will be displayed here. You can pay these online or in any library. Fines are generally only charged on overdue books that another customer has requested, the only exception being books from our High Demand Collection; you will be fined if you return these after the due date. Avoid fines by checking your account regularly. Reading history: Here you can look at all the items you have borrowed. You can opt out of this feature if you want to. Leeds University Library has a great selection of spaces where you can get down to work. 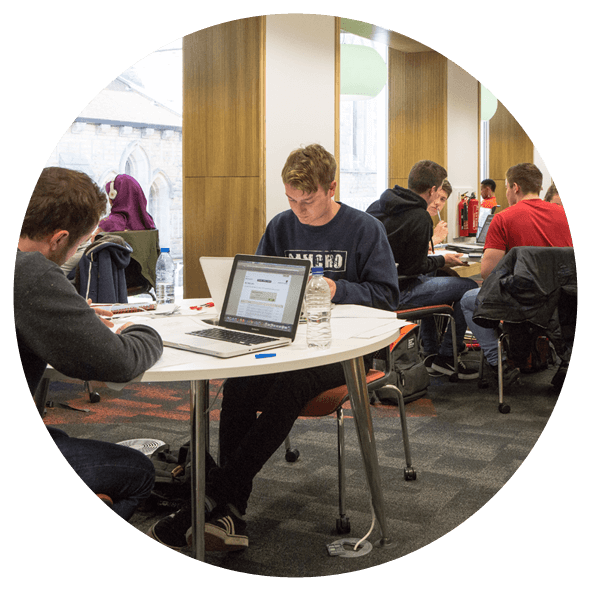 Whether you need somewhere quiet to work alone, a place to work with friends, or even a bookable room to focus on group work, the Library has somewhere for you. 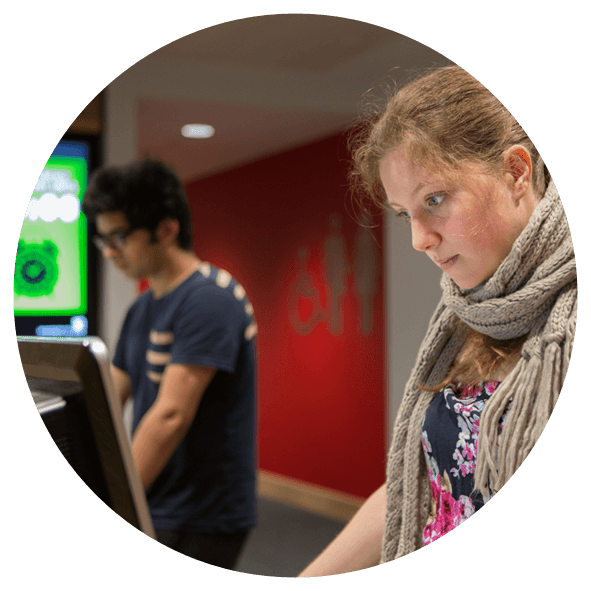 All libraries on campus have computers, printers, photocopiers and staff to help you. unattended when you go for breaks. Leave your workspace clean and tidy when you leave. Bottled water is the only drink allowed within the libraries. Eating isn't allowed in any of the libraries. Let staff know if you have any problems with the facilities. The Library has developed a partnership that sets out what we can all expect from each other. We value your feedback, so please let us know if any of these expectations are not being met. Find out more about the Library Partnership on our website. Skills@Library is a service that supports you in developing your academic skills. You can talk to a learning advisor in person, attend one of our workshops or find advice online. For training to help you develop your IT skills, see the IT website. To see our full list of workshops and to find out how to book, have a look at the workshops page on our website. Want to speak to a Learning Advisor individually? We can help you develop your academic skills and provide guidance on topics such as academic writing, reading and finding information. For more information, and to find out how to book an appointment, see the one-to-one support page on our website. "Thank you so much for the meeting; it really helped me and put my mind at ease." "I feel much more motivated and confident to just start writing now." "Thanks for your help! The exam really went well. I was so happy as that was what I was struggling with." You can also find a fantastic collection of books on developing your academic skills in the Skills Zone. Look out for our book reviews on the shelves. 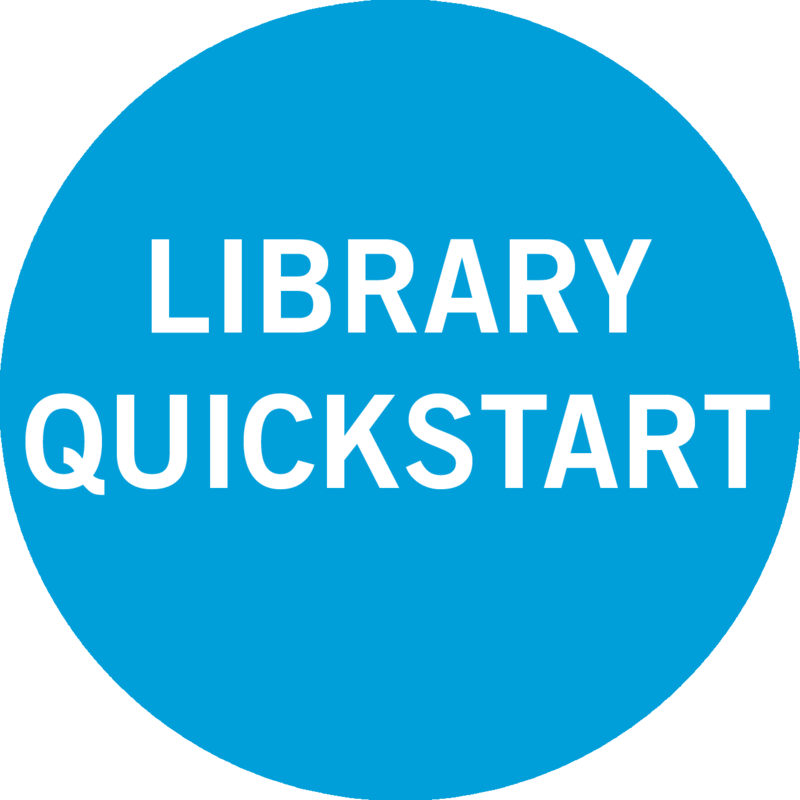 Thank you for using Library Quickstart. For more information about your library, please visit our website. 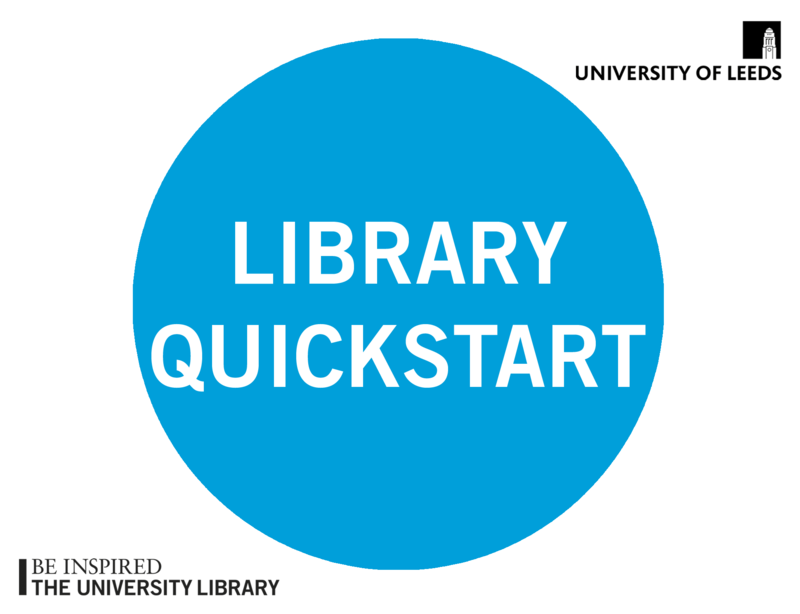 Please leave feedback about Library Quickstart by using the form on the next slide.